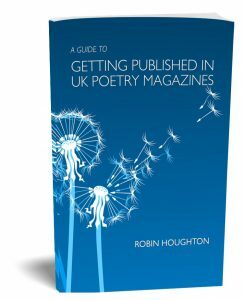 UPDATE 2ND MARCH 2019: ‘A Guide to Getting Published in UK Poetry Magazines’ has sold out… there may well be an expanded & updated version coming in 2020. If you want to hear about this please follow my blog at robinhoughtonpoetry.co.uk. In the meantime, good luck with your poetry submissions! 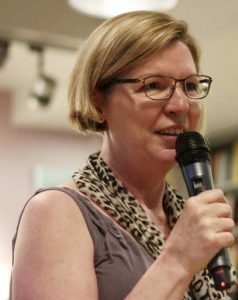 Robin Houghton decided to take her poetry writing seriously in around 2009 and had her first poem accepted for publication, by The Rialto, in 2010. She won the Hamish Canham Prize (2013), the New Writer Poetry Prize (2012), the Poetry Society Stanza Competition (2014, and runner-up in 2016) and has been placed or commended in other competitions. She’s had around a hundred poems published in journals including Agenda, Antiphon, Bare Fiction, Envoi, The Frogmore Papers, The Interpreter’s House, Iota, Magma, Mslexia, The North, Obsessed with Pipework, Poetry News, The Rialto, Under the Radar, and in anthologies including The Best New British and Irish Poets 2017 (Eyewear). Her first pamphlet, The Great Vowel Shift, was published by Telltale Press, the poets’ publishing collective she co-founded in 2014 with Peter Kenny. Robin’s pamphlet All the Relevant Gods was published by Cinnamon Press in 2018 after it won the press’s 2017 pamphlet competition. In 2017 she self-published a limited edition, hand-made mini pamphlet Foot Wear. On her blog at robinhoughtonpoetry.co.uk Robin shares her take on the poetry scene including the ups and downs of magazine submissions. She also freely shares a list of UK poetry magazines’ submissions windows which she updates quarterly. In the twentieth century Robin worked in local authority housing, ran an aerobics business and ended up as a global marketing manager for Adidas in the US. In the 2000s she ran an online marketing business and was an internet and social media ‘early adopter’. Her commercial writing experience spans everything from sales brochures for vacuum pumps to articles for Classical Music magazine, not to mention hundreds of blogs, websites and email newsletters. She has written three commissioned books for Ilex Press: Blogging for Creatives (2012), Blogging for Writers (2014) and The Golden Rules of Blogging (2015), all of which have been translated into German, Spanish and other languages. She also wrote two ebooks about how to use Twitter.